This is probably the largest art quilt I have created so far and my first attempt at creating a landscape with the watercolor technique. The top portion was based on an old photograph of Portland, Oregon from the Rose Garden. 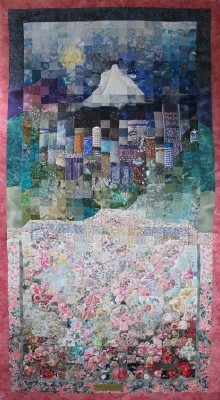 The lower portion represents the Rose Garden at the Washington Park above the city. 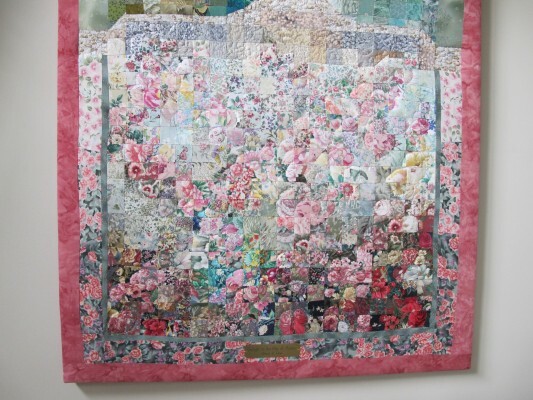 All the squares incorporated in this quilt started out as 2″ pieces of fabric slowly combined to create the city and garden. I had to lay out the top and bottom sections separately as I was designing it because it is so tall. 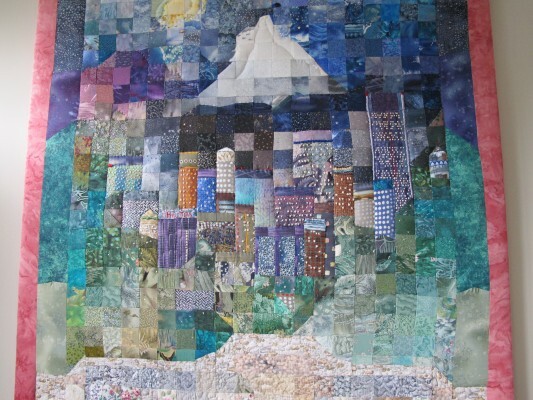 The finished design was then machine pieced, hand-quilted and embellished with DMC luster thread embroidery, especially for the building’s windows. A custom-built wooden frame was created to stretch the quilt for display. 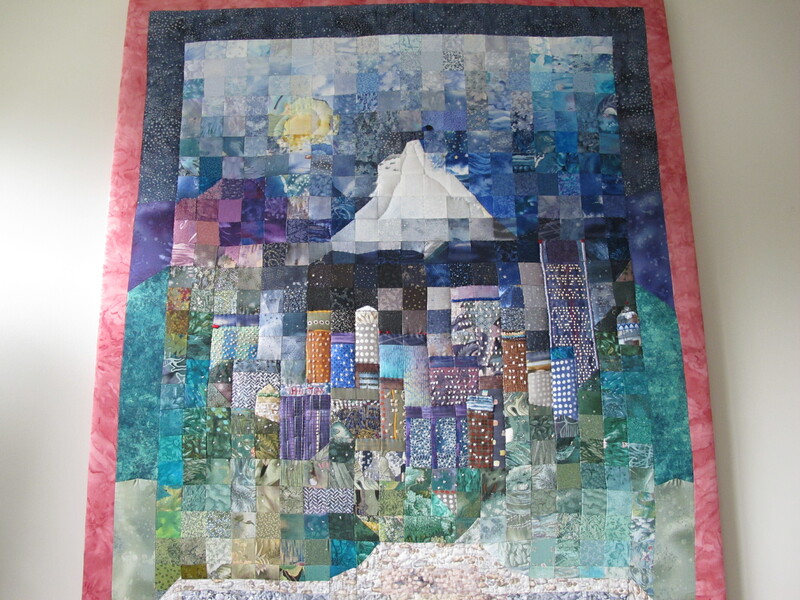 It measures 38″w x 72″h and it was purchased for display at a local medical clinic.